didn’t realise my necklace had twisted round, oops. 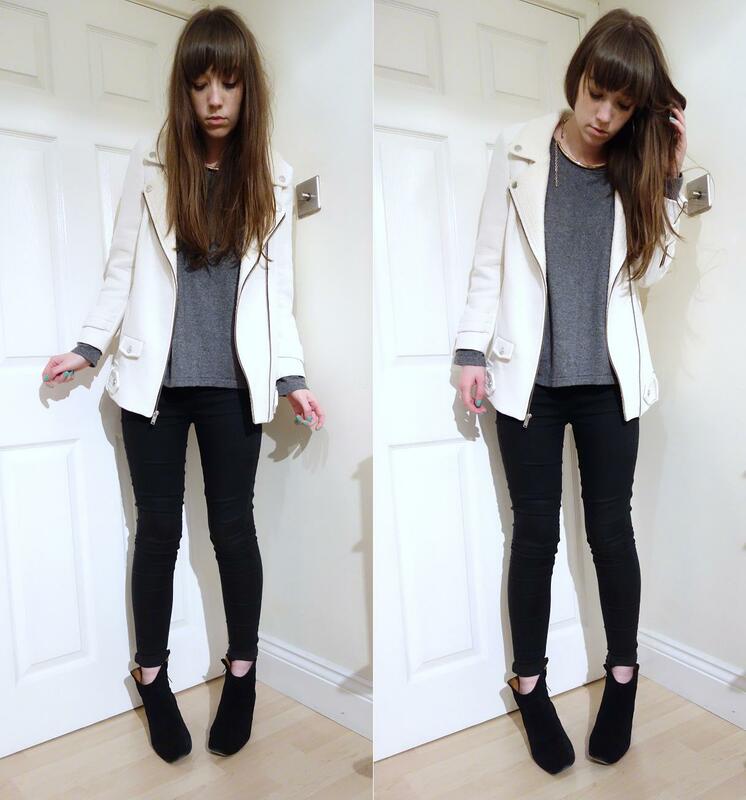 most boring outfit ever, yes, but i am quite excited about my new zara jacket! it just wish the weather would get slightly warmer so i don’t have to wear a jumper underneath it. i have been absolutely freezing for the past two days, literally shivering and everything. i’m working at a small local magazine this week and the office i’m in is so, so cold! and i’m rather tired, hence my face above complete with pretty minimal makeup. apart from that though, i’m having quite a nice time. the pages i’m working on actually go in the magazine, so it’ll be nice to have my name printed on something (or at least it’ll look good in a portfolio). i might have to do a proper telephone interview soon and that’s the thing i’m most nervous about. i’ve done it for my uni work and personal things, but i’ve never done it for something that actually matters. fingers crossed i don’t just throw my words together and sound like an idiot. anyways, i have a little offer for you all that involves some lovely jewellery! 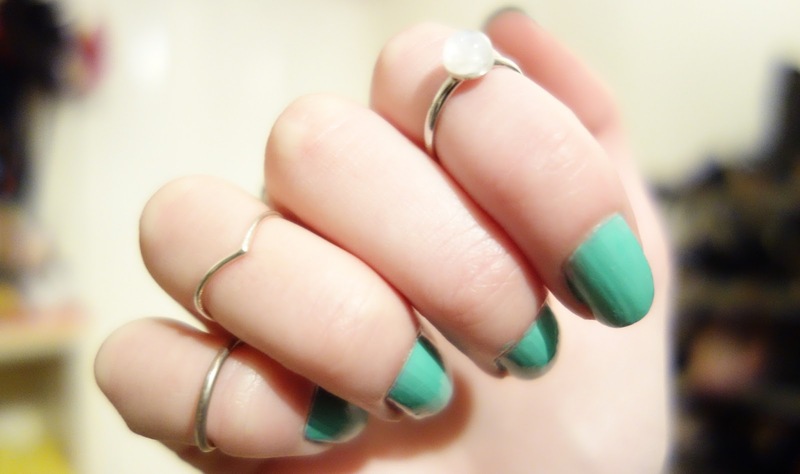 i love my over the knuckle rings from dixi, i wear them every day and they’ve stayed in perfect condition! so, they’ve decided to be ridiculously nice and offer readers a 50% discount on selected over the knuckle rings! all you have to do is go to their website, type ‘lovecats’ into the search box and you’ll get access to this exclusive discount! go on, treat yo’self (you’ve got 7 days to do so). ps. make sure you’ve seen georgia’s latest post, she’s lovely so go follow her blog! oh and jess from velvet daisy always has wonderful outfits, so check her out too! check out my sponsors for this month: barratts shoes, who have a huge sale on at the moment // ohellabella, which is daniela’s amazing beauty/style blog // cherrypie, who runs the most lovely beauty and fashion blog // and see it want it own it, who stock the sweetest jewellery and accessories!